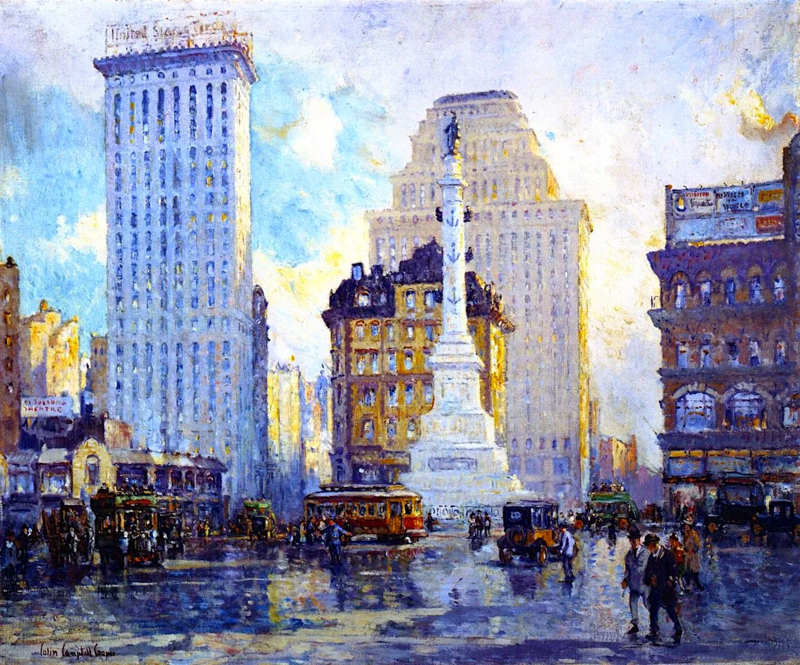 I don’t know the name of this painting, but the artist, Paul Cornoyer, often depicted Madison Square and other well-traveled hubs of the Gilded Age city, especially after a rainstorm. Doesn’t look like Madison Square? It must be the arch and colonnades that are throwing things off. It’s all part of the Dewey Arch, erected at Fifth Avenue and about 25th Street for a parade honoring Admiral George Dewey, victorious in the Philippines in 1898. The triumphant arch only stood for a year. 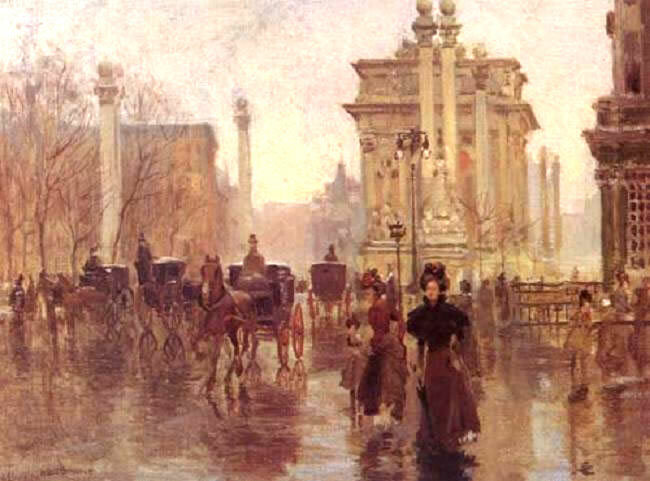 After the 1899 parade, money was supposed to be raised to make the arch permanent—like Washington Square’s new marble arch. Instead, it was bulldozed in 1900.